Start off your visit on the 5th (Sat): tour the pleasant surroundings at Carriage Roads. Here are some ideas for day two: take your sightseeing to a higher altitude at Cadillac Mountain and then head off the coast to Mount Desert Island. For more things to do, photos, other places to visit, and more tourist information, use the Acadia National Park online itinerary creator. New York City to Acadia National Park is an approximately 6.5-hour combination of bus, flight, and taxi. You can also drive; or do a combination of train, bus, and taxi. In August, Acadia National Park is a bit cooler than New York City - with highs of 75°F and lows of 58°F. Finish your sightseeing early on the 8th (Tue) to allow enough time to travel to Boston. Step out of the city life by going to Nantasket Beach and Walden Pond State Reservation. When in Boston, make a side trip to see The Old Manse in Concord, approximately 42 minutes away. 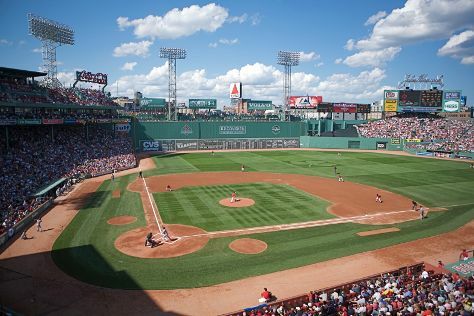 Next up on the itinerary: admire all the interesting features of Fenway Park, don't miss a visit to Boston Public Library, get to know the fascinating history of Louisburg Square, and admire the masterpieces at Museum of Fine Arts. To find maps, photos, ratings, and more tourist information, read Boston itinerary maker. Traveling by combination of taxi, flight, and bus from Acadia National Park to Boston takes 3.5 hours. Alternatively, you can drive; or do a combination of taxi and bus. Expect a bit warmer temperatures when traveling from Acadia National Park in August; daily highs in Boston reach 81°F and lows reach 66°F. Cap off your sightseeing on the 12th (Sat) early enough to go by car to Wellfleet. Wellfleet is a town in Barnstable County, Massachusetts, United States, and is located halfway between the "tip" and "elbow" of Cape Cod. Escape the urban bustle at Long Point and Corn Hill Beach. When in Wellfleet, make a side trip to see Nauset Beach in Orleans, approximately 34 minutes away. 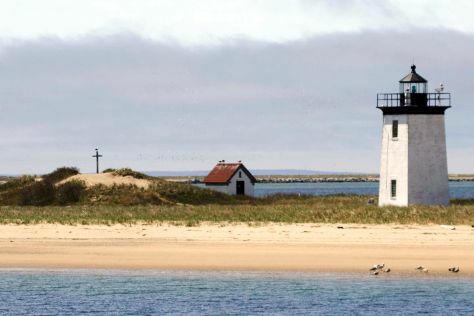 There's much more to do: kick back and relax at Marconi Beach, tour the pleasant surroundings at Herring Cove Beach, take in the architecture and atmosphere at Church of the Transfiguration, and get lost in a book at Provincetown Public Library. To find photos, traveler tips, ratings, and tourist information, read Wellfleet itinerary planner. Traveling by car from Boston to Wellfleet takes 2.5 hours. Alternatively, you can do a combination of bus, flight, and taxi; or do a combination of ferry and bus. In August, daytime highs in Wellfleet are 77°F, while nighttime lows are 63°F. Cap off your sightseeing on the 15th (Tue) early enough to go by car to Falmouth. Falmouth is a town in Barnstable County, Massachusetts, United States; Barnstable County is coextensive with Cape Cod. Kick off your visit on the 16th (Wed): examine the collection at Heritage Museums & Gardens, see majestic marine mammals with a dolphin and whale watching tour, and then explore the activities along Cape Cod Canal. Get ready for a full day of sightseeing on the 17th (Thu): grab your bike and head to Shining Sea Bikeway and then enjoy the sand and surf at Old Silver Beach. To find photos, traveler tips, other places to visit, and more tourist information, use the Falmouth travel itinerary creator. Traveling by car from Wellfleet to Falmouth takes 1.5 hours. Alternatively, you can take a bus. In August, daytime highs in Falmouth are 78°F, while nighttime lows are 61°F. Finish your sightseeing early on the 17th (Thu) so you can travel to Edgartown. Edgartown is a town located on Martha's Vineyard in Dukes County, Massachusetts, United States. Start off your visit on the 18th (Fri): enjoy the sea views from Edgartown Lighthouse, play a few rounds at Farm Neck Golf Club, and then kick back and relax at Katama Beach. To find photos, other places to visit, maps, and tourist information, read Edgartown travel planner. You can do a combination of ferry and bus from Falmouth to Edgartown in 2 hours. In August, plan for daily highs up to 79°F, and evening lows to 61°F. Wrap up your sightseeing on the 18th (Fri) to allow time to travel back home.